Differing lot sizes and diverse products require a quick changeover. Often there is hidden potential in the flexibility of production facilities and the organization of the changeover procedure. Single Minute Exchange of Die, SMED for short, represents a reduction of changeover times and the optimization of the manufacturing process. 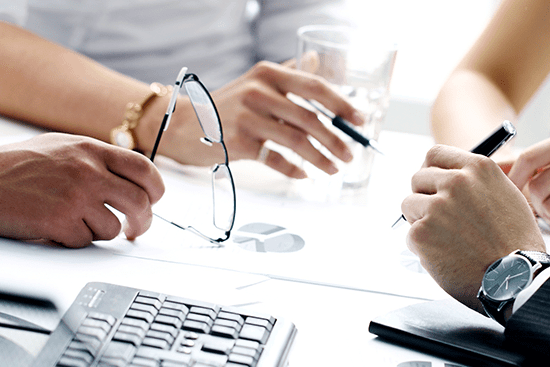 With the SMED process we can evaluate your entire internal and external changeover procedures separately. Here we take technical as well as organizational improvement possibilities into account. After the detailed analysis of the current situation, we determine which of your internal changeover procedures can be integrated into external pre-production measures. The goal is to reduce internal changeovers as much as possible. 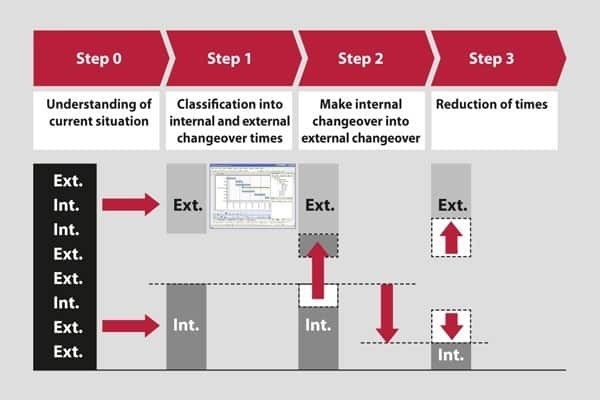 In a further phase the time for each individual changeover step is reduced. However, conventional SMED methods quickly reach their limits for complex processes. In order to optimize even the most complicated processes with the advantages of SMED our OpEx consultants have expanded the SMED methodology. SMED combined with the special MS project solutions for planning, managing and supervising developed by TARGUS allow us to provide a personalized, demand-oriented approach. Through this enhancement we can apply the SMED methodology along with our optimized data and resource management to even the most complicated processes. Changeover procedures are also cost drivers in foundry operations. Therefore our task was to reduce costs through an optimization of changeover times. Specifically in the pressure casting area, an analysis of the individual work steps indicated a strong mixture of internal and external tasks. We were able to achieve a significant reduction in times by redesigning the individual steps. Further time savings as well as a reduction of start-up costs were achieved through creation and subsequent maintenance of shadow boards and the definition of machine settings. In all, changeover times were reduced by up to 50% using SMED.